Yesterday saw the launch of Christian Aid’s “In Kony’s Shadow”, a multimedia exhibition at London’s Oxo Tower that examines the legacy of the 20-year conflict in northern Uganda that ended in 2007. The exhibition, which runs until March 16th, features photographs by Will Storr and two of my short films about which I have written before. 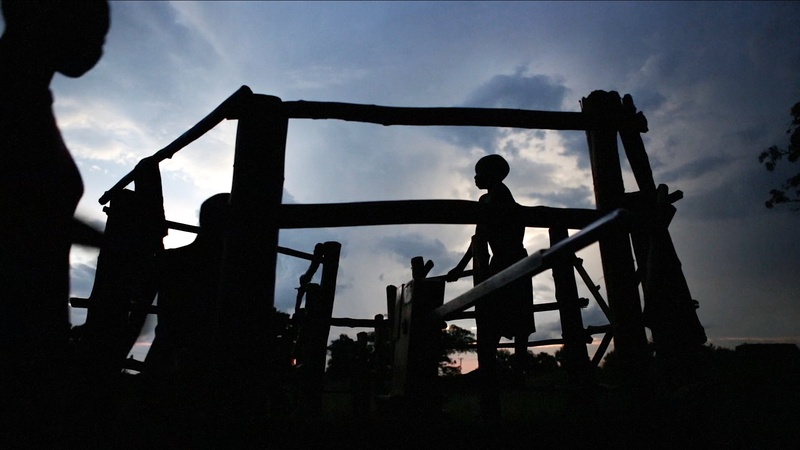 A still taken from one of my films from Uganda features above. Together with Will and Christian Aid’s Chief Executive Loretta Minghella, I spoke at last night’s private viewing at the Oxo Tower. 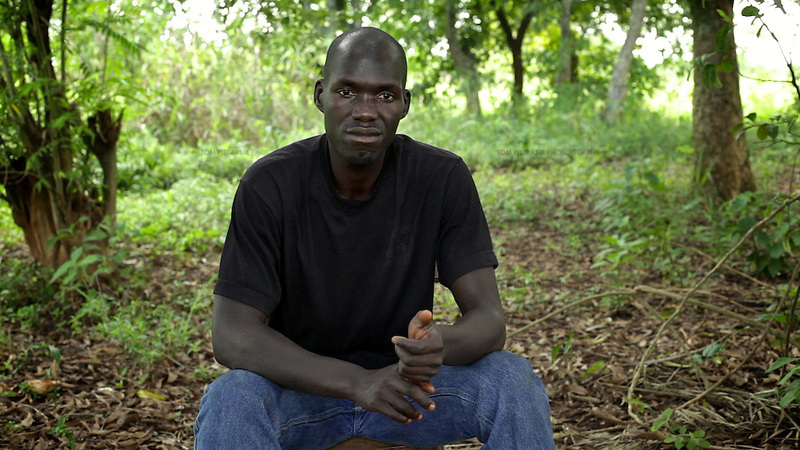 So I’m posting a version of that speech here, outlining my enthusiasm for online video stories and my approach when making the film on former LRA (Lord’s Resistance Army) child-soldier Norman Okello below. With the public’s growing appetite for short online videos, there are new opportunities for development agencies like Christian Aid to engage people with big issues. Some of these videos go viral and have the potential to inspire change by examining areas of concern and provoking debate. Added to this altered landscape are new technologies that see quality filmmaking cameras getting smaller and cheaper. Video journalists like myself can now work independently without the need of a large crew, taking cameras into often demanding or sensitive environments to bring stories to public attention via the internet. Such technological innovations are to be welcomed but the fundamentals of good storytelling are still the same as they always have been. So when Christian Aid approached me with the idea of making a short film about Norman Okello, a former child soldier with the Lords Resistance Army (LRA), I concerned myself less with the equipment that I would use than with research and the challenges of telling a story about someone I had never met and whose background was so very different from my own. Overcoming these differences was key, requiring both sensitivity and time. I knew that I had to build a trust with Norman so that he would feel comfortable expressing his emotions on camera. By revealing his feelings, I hoped Norman would arouse empathy in an audience and so engage them in an issue that might otherwise be considered distant or obscure. I wanted Norman Okello feel comfortable so I chose to interview him in a secluded woodland close to his family home. 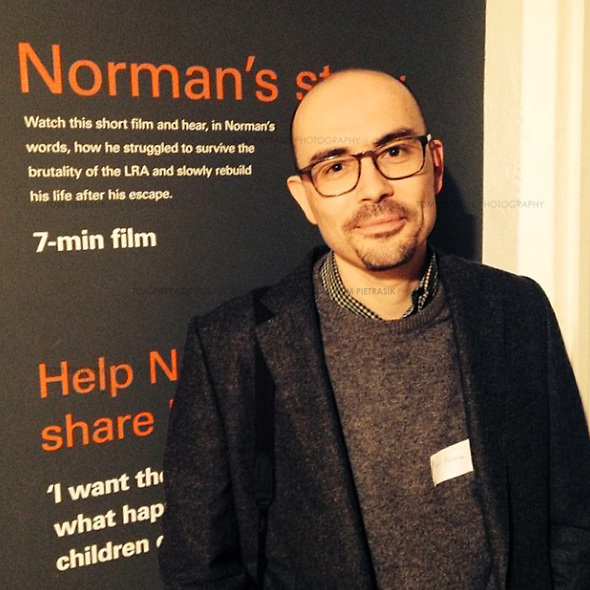 Working with Christian Aid’s Emma Wigley, I interviewed Norman for about five hours over several sessions interspersed among our shooting-schedule. I decided to conduct the interviews beneath a small collection of trees beside Norman’s childhood home. I wanted Norman to avoid any sense of inhibition so we made sure he was out of earshot of his family, but close enough to them to feel comfortable and secure. Over time Norman’s reservations subsided and he revealed details of his traumatic childhood and expressed the frustration of reconciling his past life with the present. He explained his desire to be a productive member of society and to realise his potential as a dutiful son, a loving husband and a responsible father. Norman enjoys time with friends in the town of Kitgum, Uganda, close to his family home. Norman’s candour is unusual in post-conflict Uganda. It is uncommon to find people discussing their own anxieties, particularly with strangers. Most are either too busy struggling to provide for the basic needs of their family or they are uneasy expressing opinions about a recent conflict that has left many scars. It is impossible for a film of less than eight minutes to digest a complex issue like the northern Ugandan conflict between the LRA and the Government of Uganda. But by focussing on one individual, I hope that audiences come away from this film appreciating that conflicts in apparently distant lands involve ordinary people like Norman. It is far more difficult to dismiss events in other parts of the world as irrelevant to our own lives if we identify with individuals and relate our own circumstances to theirs. 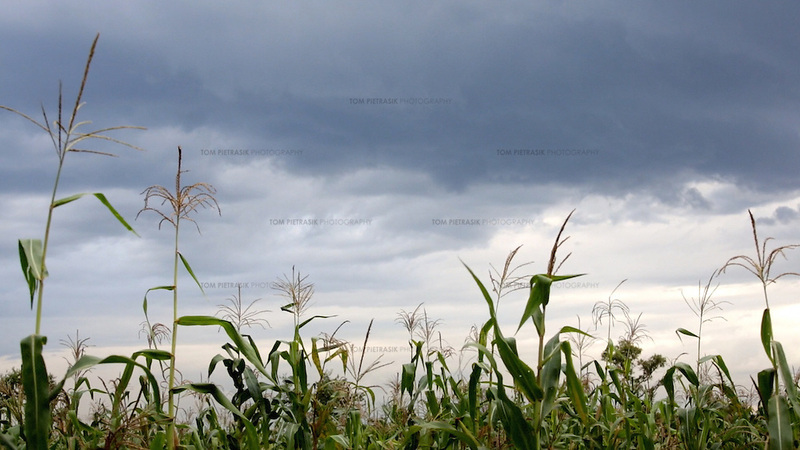 Storm clouds gather in northern Uganda. Another still from my film about Norman Okello. Making an engaging film is of course only half the battle. It is vital that such films actually get seen. Christian Aid’s communication and media teams have worked hard to distribute this film about Norman Okello along with my accompanying profile of Deo Komakech. Between them, these two short films have appeared on British newspaper websites including The Guardian, The Telegraph, Sky News and The Independent. Me at the launch of the “In Kony’s Shadow” exhibition at the Oxo Tower. Photo by Torcuil Crichton.